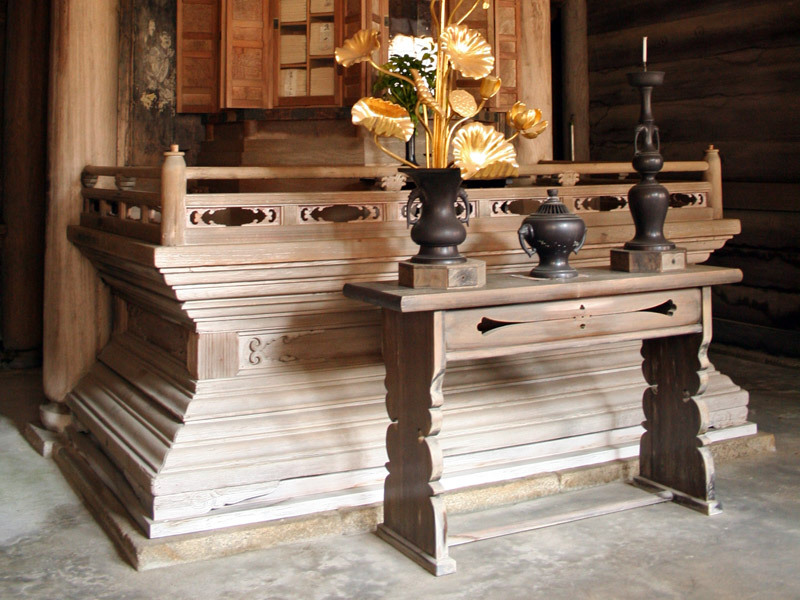 An altar made of fine timber, generally with panelling, hame 羽目, and rich moldings at its top and bottom. Carvings of flora and fauna heighten the decorative elegance. Steep steps with high railings are positioned at the front and on each side. The altars are 2m or more across the front. Usually a railing extends around the three sides except for the open access from the steps. The shumidan at Shoukokuji 相国寺 (1605) Kyoto, is the largest extant and has two pillars with a large diameter centered between the far edge of the side steps and the smaller pillars at the rear.